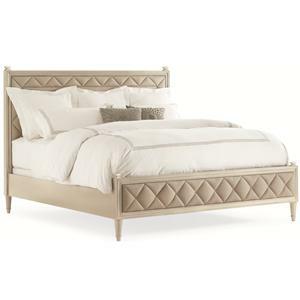 Looking for a designer statement bed in a guest room or master bedroom? “Pillow Talk” will give you a lot to talk about and is available in twin, queen, king, and California king sizes! The queen, king and California king frames are finished in Pearl, while the twin takes on a more casual note in a matte Angora paint finish with a dry brush texture. About the Bedroom Collection: Completely practical yet artistically engaging, this bedroom furniture piece is the illustration of high end achievement. Functional storage features assist in making your every-day easier. An alluring simplicity plays on straight lines as if pulling elegance from a place of innocence. 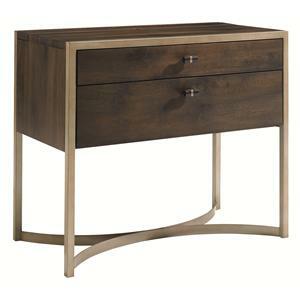 Accented by the worn-looking beauty of an Artisan Metal Finish, this item will welcome in the day with an effortless class. 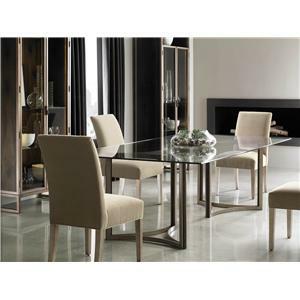 About the Dining Collection: Like this collection’s description pronounces, this item represents art without adornment. Drawing upon inspiration form a seemingly simple time, each piece in this dining room furniture group features modern lines that mingle with a rustic charm. For the room in your house that nurtures your being, the items in this dining collection exist to invite you home, to a place where you feel relaxed yet rejuvenated. 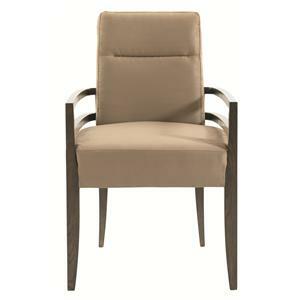 Nicely scaled with a contoured oval back, the "Chit Chat" dining side chair will always be a classic. 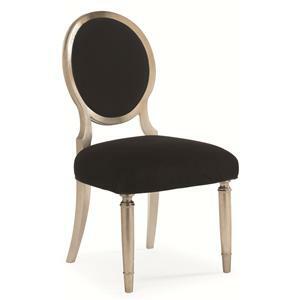 Though the oval back has its origin in Louis XVI era furniture design, this chair drops the expected detailed carvings and replaces them with smooth lines in a metallic Taupe Silver Leaf finish for a fresh, more contemporary vibe. Dining around a round table, previously believed to be the most gracious arrangement, is fast becoming the new favorite among many designers. 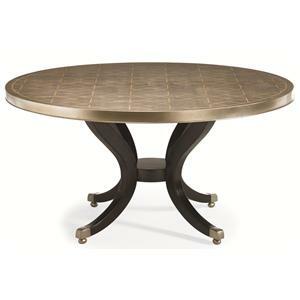 A contemporary, geometric trellis pattern in a thin soft gold graces the Taupe Silver Leaf table top of the "Center of Attention" dining table, while a statement base with fluid black legs in a Satin Ebony finish and metal ferrules completes the look. Like this collection’s description pronounces, this item represents art without adornment. Drawing upon inspiration form a seemingly simple time, each piece in this dining room furniture group features modern lines that mingle with a rustic charm. For the room in your house that nurtures your being, the items in this dining collection exist to invite you home, to a place where you feel relaxed yet rejuvenated. 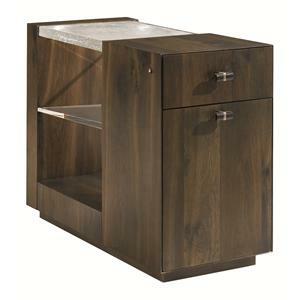 Transitionally styled, this single shelf standard top cocktail table features solid wood construction and beveled glass inlay surfaces. 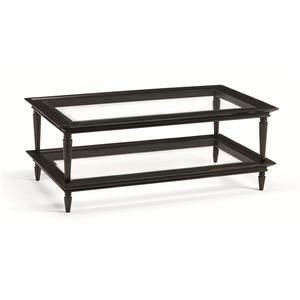 Traditional influences can be noted in the flared tops, turned pedestal legs and arrow style feet, all of which boast a black rub finish. 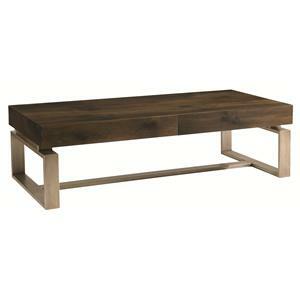 The decision to use glass for the top and base shelf lends this piece simplicity and contemporary flair. A globally integrated and trusted home furnishings resource known for our creativity and value - that's the mission of our company and our promise to every customer. We take a fresh perspective on design, with a keen sense of fashion that is redefining the high end by setting new standards of quality and value. Our five distinctive portfolios - Schnadig, Schnadig HOME, Compositions, LAUREN-Ralph Lauren and Caracole - comprise uniquely creative collections for every room of the home. Our designers travel the world to bring you trend-setting designs, the most stylish fabrics, the finest accents and finishes, and the special features you need and want in your furniture.